The Yarmouk private villa is home to two brothers and their families in Kuwait. The volume is divided in the center of the plot into two identical units housing the independent quarters of each of the two families. A series of light wells and balconies throughout the house, along with a discreet garden space on the ground floor, focuses on the project’s main narrative of diffused natural lighting. The basement of the house and its roof terrace cap the building with elements of unity and interaction, where the siblings and their families are able to get together and socialize. The basement includes a large banquet hall with light wells on either side to bring in ample natural light. The room, covered completely in travertine, sets a more classic and elegant atmosphere for larger gatherings. The basement also includes parking facilities for 10 cars and a staff quarters, also naturally lit. The independent units follow an identical plan although the form is articulated to disrupt symmetry. The ground floor houses the social areas for each family and is flanked by a very private garden that lights up the interiors through large sliding windows. Vertical circulation is organized along the middle of the house and the living spaces organized along the building periphery to maximize natural light. The first floor houses the bedrooms in a similar way along the outer edge, including a sky-lit communal area and a kitchenette in the center. The materiality of the interiors is driven by the hierarchy of the space, ranging from a dramatic music room finished in an aptly titled scandalous marble, to the almost Scandinavian simplicity of the upper levels that houses the bedrooms, pantry and the informal reading room. Subtle warm tones, achieved by a combination of silver travertine cladding with white oil finished ash parquet, set the mood for the ground floor living and dining areas. The clients’ vision was very straightforward but challenging as it called for a dense program relative to the plot size on a very restrictive budget. The clients were very specific on the need for two identical yet completely independent units for the two families, and dedicated shared areas for interaction. Parking in the basement was essential due to the dense program and large footprint that would entail. A shared banquet hall, doubling up as the Dewaniya, was also part of client’s requirement. Each unit was to have 5 bedrooms with attached bathrooms; a formal living / music room, family living and dining area, kids play room and a large kitchen. Upper floor was also to have a communal reading space and a pantry. Female staff would be on the second floor with their own suites and the male staff next to the parking in a basement suite with clerestory windows to afford natural lighting and ventilation. The essence of the client’s request was a simple and well-built house that minimizes the need for heavy maintenance and upkeep. Naturally lit, airy spaces were an essential parameter along with adequate green spaces scattered around the house. This house is located in Yarmouk, a quiet suburban residential neighborhood in Kuwait. The extremely hot climate and its occasional dust storms and hot desert winds influence the way buildings are designed in these areas. The site faces a suburban residential street, and is enclosed on the other 3 sides by adjacent houses. The surrounding built fabric consists of independent villas with a more traditional design; allowing this house the opportunity to reflect on certain elements of its surroundings, yet provide a new aesthetic to the street it occupies. Pedestrian space is limited because cars are generally parked on the pavements, due to the lack of parking spaces and the high number of cars per capita. This issue was tackled by having a well-defined pedestrian pathway in front of the building, integrated with the landscape and also providing more than adequate parking facilities in the basement of the building. The client’s brief called for a very dense program relative to the allowed footprint and also for the two units to be identical and side-by-side. This posed multiple challenges to the architects in terms of finding a balance between enclosed and open spaces, as well as bringing sufficient natural lighting to all areas of the house. The open-plan ground floor brought natural light into the living and dining area through its wide sliding glass panels leading to the outdoor garden space towards the edge of the plot. While maximizing the natural light, overhangs were employed strategically to decrease direct sunlight and solar heat gain. The garden, with its high walls and louvers fosters greenery and light for the social spaces, including the banquet room in the basement, while affording total privacy from neighboring buildings. A similar technique is applied on the first floor, placing all bedrooms on the parameter to ensure windows in each room for their own natural lighting. A large skylight lights up the resulting interstitial area turning it into a brightly lit communal reading spot. The exterior of the house is finished in an austere palette of white cement render contrasted against the rough grey finish of the window frames and louvers. The louvers afford necessary privacy to the stepped entrance foyer and the roof garden and soften the impact of the crisp white massing. The design and its requirements birthed a duality between the necessity of natural light and Kuwait’s scorching hot climate. Studio Toggle approached this duality with a multi pronged strategy in which light pockets are distributed along the buildings mass, increasing it porosity while avoiding direct sun. These light pockets, by virtue of their strategic locations, helped in lighting up the interiors while avoiding the harsh direct sunlight. A heat reflecting and self-cleaning exterior paint system in white finish was used to reduce the heat gain as well as to repel dust, which is a recurring problem in the region. Louvers and overhangs were generously incorporated to avoid and reduce direct sun and glare. Sensors and smart irrigation systems were incorporated to reduce electricity and water usage and demonstrates a measured saving of almost 20 percent electricity and 40 percent water used for irrigation. Low VOC paint and coating systems were used for better indoor air quality, as the client was very specific in this regard. The project also employs extensive use of eco-friendly cork for acoustic insulation and as underlays below the parquet flooring. Studio Toggle was established in 2012 by Architects Hend Almatrouk and Gijo Paul George, both masters graduates from the Universität für Angewandte Kunst, Vienna, Austria. 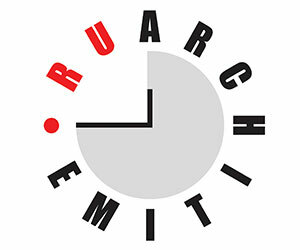 The practice focuses on logical design and problem-solving techniques with a specific emphasis on Architecture and Urban Design. We believe in a balance between the opposites, that form follows function, the simplicity is complex, and that even chaos can be organized. 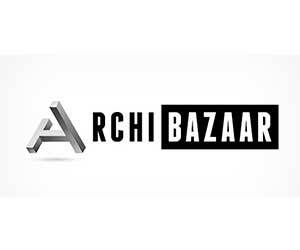 Our expertise ranges from public-sector, commercial, residential and hospitality architecture to interior design. In the short span of 5 years, Studio Toggle has grown to a team of 15 highly dedicated professionals based in Kuwait and Portugal. 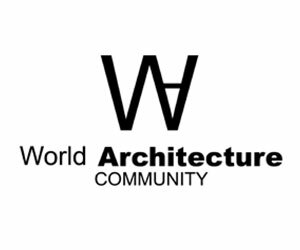 The work done by the Studio Toggle has been acclaimed in the region as evidenced by the various awards won by the practice including the Middle East Architect Residential Project of the Year 2016 for its project F.LOT, the prestigious Cityscape Award 2017 for its residential building ‘The Edges’ in Salmiya, Kuwait, to name a few. Studio Toggle’s projects are regularly featured in prestigious architectural magazines like Dezeen, Archdaily, Dwell, Divisare and beyond. The practice continues to push the boundaries of design sensibilities in the region and beyond.